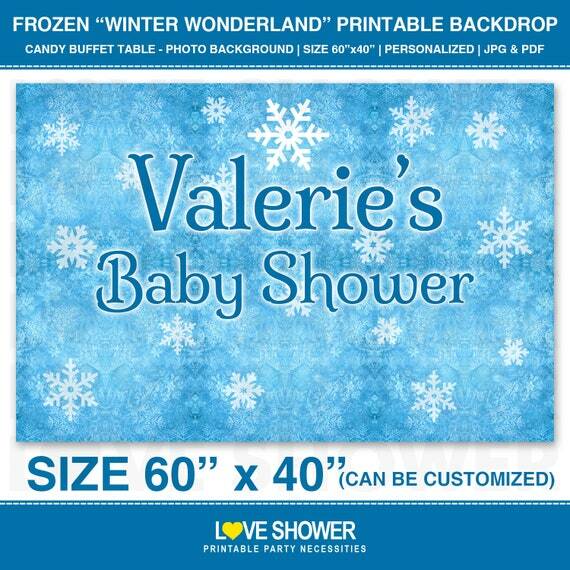 This listing is for 1 (one) personalized printable party backdrop (background) in FROZEN "WINTER WONDERLAND" theme. Perfect to add some fun in your party as a backdrop for your dessert table, candy bar table or as a photo background. Wording and color (ONE color only) can be change to your preference. Size is 60" width x 40" height <---- Can be changed to meet your preference size. This is printable items only. No physical item will be shipped to you. This file is personal AND commercial use (printed). However, you are NOT allow to re-sell this file as it is or distribute as a freebie. If you have any question, feel free to contact me first.